The world is a busy place. It moves at a very fast pace. Yet, there are certain specific things which should never ever be rushed. One of those is social media marketing. We don't rush, enjoy our cappuccino coffee while exploring the website and proceed with our Social Media Marketing Services In Delhi NCR when we have understood what exactly needs to be done. When it comes to social media management, it takes the best skills and experience to make the most of social media. 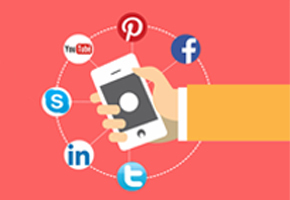 We as developed Social Media Marketing Services In Delhi NCR have a very different approach. In the very initial step, our team of experts determines the objectives and goals that your business wants to achieve. Before creating your social media marketing plan, we take time to assess your existing social media strategy and how effective it is. We choose the best platforms to meet your social media goals. Our experts will refine/update for the best possible results. Prepare a content marketing plan, comprised of different strategies for content creation as well as content curation, and an editorial calendar.